A Baltimore County Racetrax player attributes his recent collision with Maryland Lottery luck to his wife. Returning home after dinner on Saturday night, a quick stop at High’s in Perry Hall to play her favorite Pick 4 combination put him in the right place at the right time to win more than $31,000. “I play pretty often, but I wouldn’t have bought that ticket if she hadn’t wanted to get her numbers,” said the retired federal government employee. “ ‘I might as play, too,’ I said to myself.” Although a fan of all of the Maryland Lottery’s games, his favorite is Racetrax and that’s the game he chose. The Perry Hall resident placed the Trifecta bet for 10 drawings and the couple returned home. Later, as they prepared for bed, the 60-year-old checked the Racetrax results using his Maryland Lottery app. “You’re not going to believe this,” he said to his wife. When he told her of their good luck, she was sure he was kidding. “I was shocked. 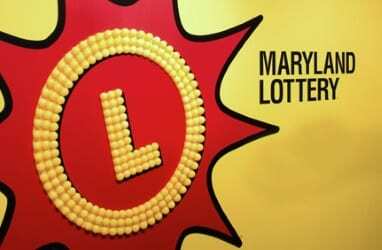 I even asked him to pinch me to make sure I wasn’t dreaming,” she told Lottery officials. Too excited to turn in, the couple returned to the store where they’d found their big winner even though it was 1 a.m. The couple will share their winnings with their church and pay off bills. The High’s store located at 9414 Scott Moore Way, where their lucky story began, earns a $414.54 bonus from the Lottery for selling a winning Racetrax ticket of $10,000 or more.